Campus Escapes is a subsidiary of Kirkland Productions that creates transportable escape room experiences for college campuses, parties, and more. 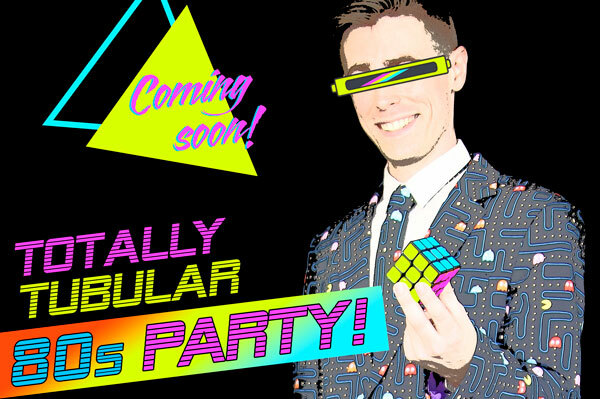 I was hired to work on their latest room at the time, Totally Tubular 80s Party, as a developer. I build a tablet app for their room as well as modified a toy keyboard using Arduino technology. Documentation of the keyboard development process can be viewed below. So the goal for this project was to retrofit two different 80s toy keyboards with a puzzle. This puzzle involved playing the keys in a certain order in order to trigger an audio clip. Sounds easy, right? Well, the thing about DIY electronics is that development is never as easy as it sounds, and since this was my first on-my-own electronics project, there were definitely some bumps! But I also learned a lot. The client had some specific requests–to make sure the normal circuit in the keyboard could still function, make the puzzle “completely invisible,” etc. I, a little naive, assumed that these were all doable. So to start, I built a prototype circuit using what I thought was the ultimate solution–small pressure sensors. These were so thin that players wouldn’t be able to distinguish the “rigged” keys from the “non-rigged” ones and therefore were the answer I was looking for. Because I didn’t yet have the keyboard or assets at this stage I instead had them make fake key sounds and trigger a recognizable sound effect. You can see this in the video below. After the prototype was completed I finally got a hold of the keyboard, and to my relief the pressure sensors were the perfect size! So this meant everything would be okay, right? Look how tiny it is!! Another reference image of the keyboard that was modified. Look at the beauty of a 30+ year old circuit!! Opening it up reveals the old circuitboard and keys! The circuitboard had to be removed temporarily in order to place the pressure sensors under the keys. Below was my test to make sure I could align them with the physical button the plastic keys were pressing. I could, but note how the end of the pressure sensor is right on the lip of the keyboard–that’s not so good. Especially since, I learned, these were fragile. I was starting to have my doubt at this point, but I soldiered on. And, after struggling a bit with solder (the only tip I had at the time was a tad big), the initial circuit was put together permanently. At this point I tested it, and it worked! Hooray! It’s done, right? Not quite. At this point I handed it off to my fabricator to build the bottom housing (since the circuitboard was not going to fit inside the original case), and this is where things started to get messy. During the install, the handling of the circuit broke some of the pressure sensors. Why? Because they’re fragile and in the most precarious position possible, as I had previously learned. And this continued. There were at least a half a dozen exchanges and re-exchanges of this thing as the sensors kept breaking. And these sensors were not cheap, mind you. The project, that was supposed to be over in June, had already dragged out all the way to August and the situation didn’t seem to be getting better. Uh oh… that’s a problem. Again. For the second copy of this keyboard, though, I did not make the same mistake. Despite initially being deterred from pushbuttons because they were more “noticeable,” I decided to use them instead and the circuit worked like a charm. Amazing. So I replaced the circuit for the first keyboard entirely with the pushbutton version and all was now right with the world. (Note: I may have gone a little overboard with the wire lengths). Even simple electronics projects can be not-so-simple. Retrofitting is hard and requires extra consideration. Account for part failures and fixes in the initial budget–otherwise you could end up backed into a corner. Don’t be afraid to push back against the client’s demands if you think they can’t be achieved as long as you can offer a reasonable explanation.